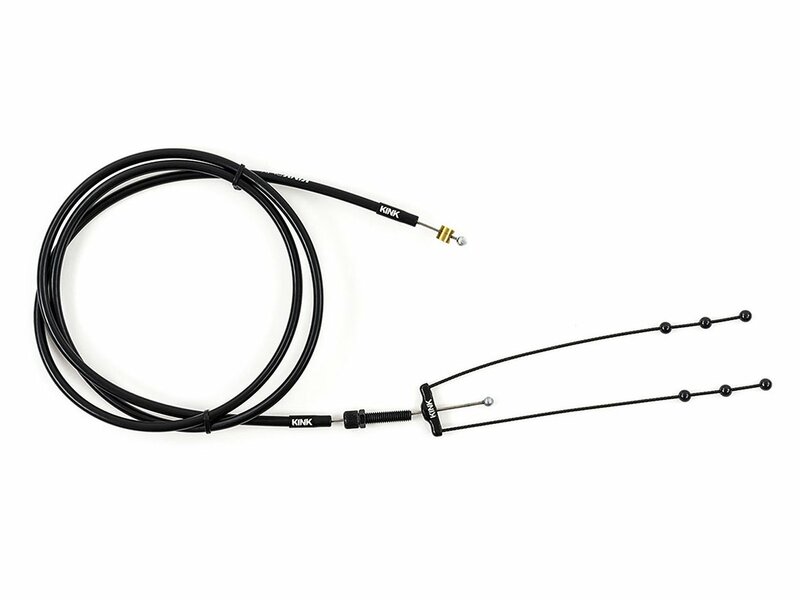 The Kink Bikes "One Piece Linear DX" Brake Cable system incorporates all the great features found in the DX linear cable, and creates a simpler brake cable system requiring minimal setup. The three preset straddle cable lengths fit with all modern frames, and the remaining straddle cable length can easily be trimmed off. This single unit cable system greatly simplifies brake installation, reduces maintenance and increases braking stiffness. 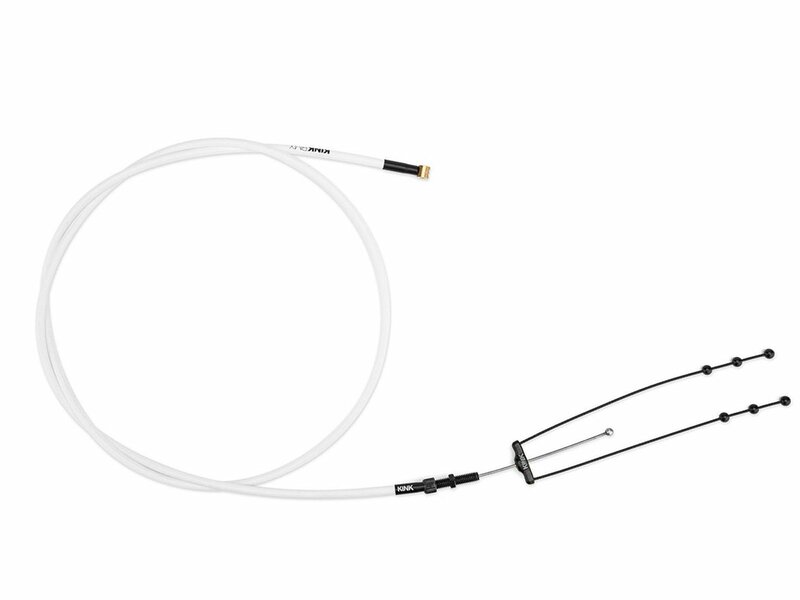 Note: The Kink Bikes "One Piece Linear DX" Brake Cable system requires a slotted cable guide and cable stop. Works best with modern frames using a 245mm cable stop to mount distance.